Since the recent reincarnation of Acura brand ? in part, sparked by the reintroduction of the Acura NSX sports car ? all the Acura models have had a dosage of performance enhancement. 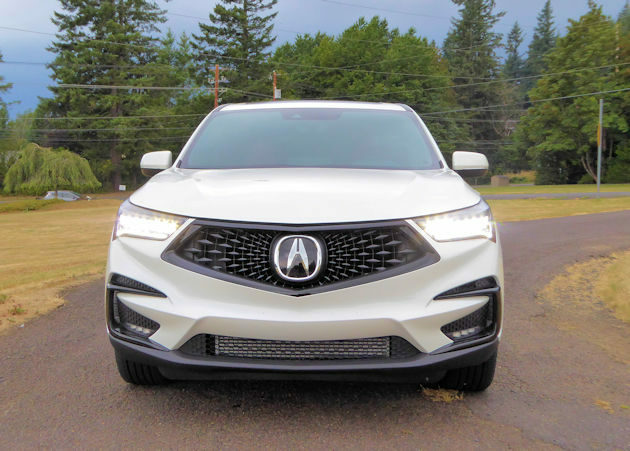 The 2019 RDX is the first in a new generation of Acura models designed and engineered around Acura?s new Precision Crafted Performance brand values. 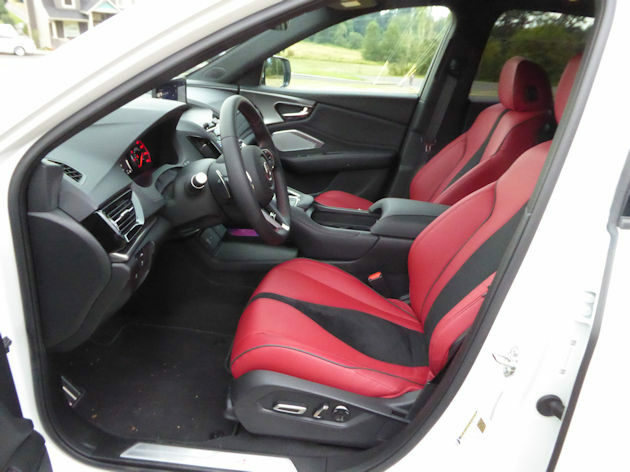 The RDX is a total American product designed in the Acura Design Studio in Los Angeles, and developed at the company?s Raymond, Ohio engineering headquarters, next to the East Liberty, Ohio manufacturing facilities. Inspired by both the Precision Crafted Performance brand commitment and the new Acura NSX supercar, the third generation RDX is the bellwether of future Acura performance products. 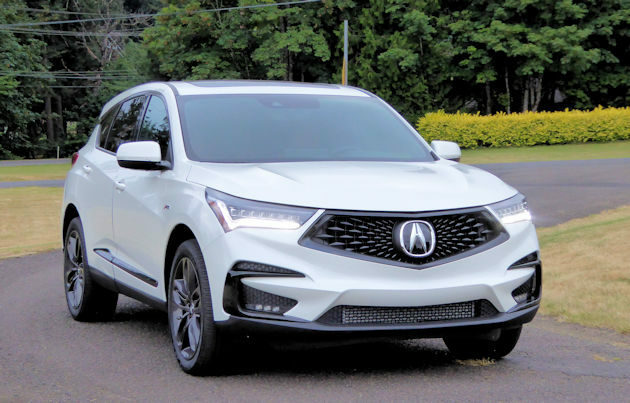 Acura?s Luxury Crossover SUV gets a total makeover growing, a little, in nearly every dimension but shrinking under the hood, which would seem to counter the newly professed performance image, but that?s not the case. 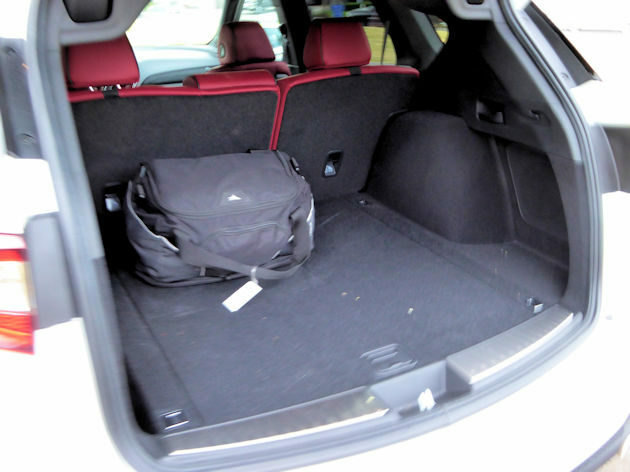 Size-wise the increases make the RDX the class leader in passenger and cargo space. The all-new design is dramatic. It has a bold front fascia with Jewel Eye? LED headlights, function wing-shaped lower air curtain, signature diamond pentagon grille along with a dramatic sculpted body and muscular stance. Acura has always made subtle changes, but always with a solid basis of technological improvement rather than bravado, but this time they seem to be pushing the envelope a little further. 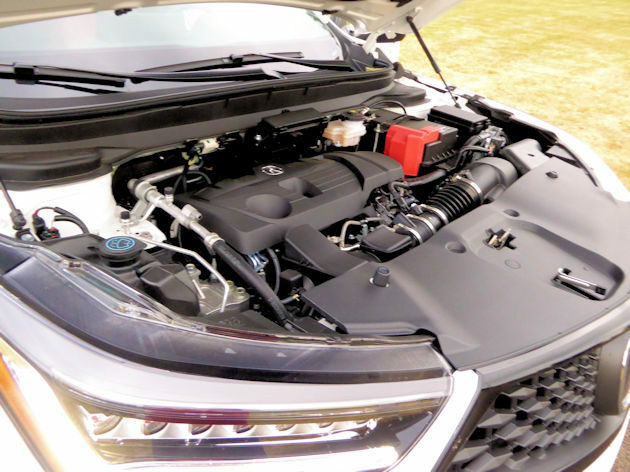 For most manufactures performance upgrades would involve larger displacement engines and substantial increase in horsepower, but the RDX replaces the naturally aspirated 279-hp 3.5-liter V-6 (252-lb.ft. of torque) from the previous generation with a 272-hp, turbocharged four-cylinder producing 280-lb.ft. of torque. 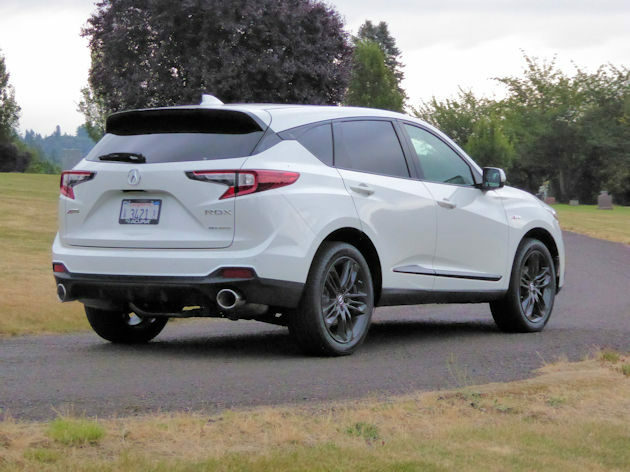 These numbers give the RDX the highest horsepower and torque ratings among key competitors with an increase in performance to match. 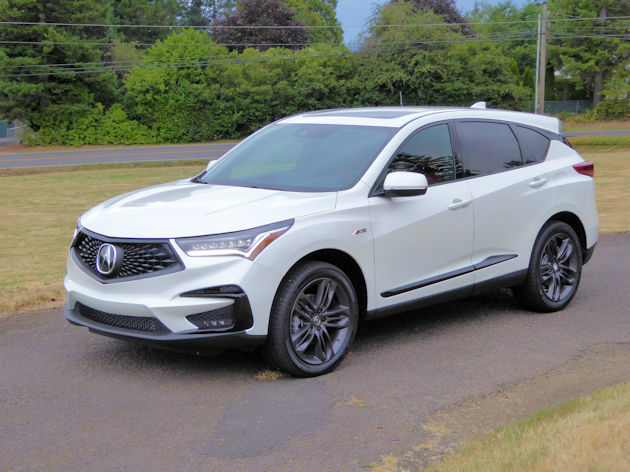 The turbo four engine is mated to a quick shifting 10-speed automatic transmission driving the front wheels or all four wheels (a $2,000 option) with Acura?s new generation Super Handling All-Wheel Drive (SH-AWD). 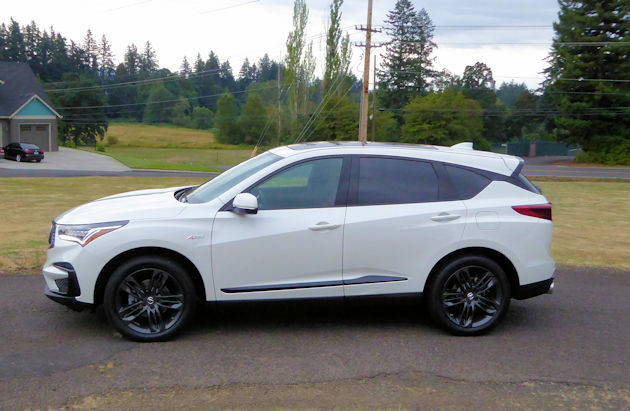 Combined the drivetrain creates the quickest and best-handling RDX to date. Buff magazine tests show a 0 to 60 mph acceleration time of 5.6 seconds. The EPA lists fuel economy at 21 mpg city, 26 mpg highway and 23 mpg combined. We averaged 25.5 mpg during our week of testing. The more compact engine allowed designers to create a smaller front end with a shorted overhang. They also were able to increase the wheelbase and widen the track. 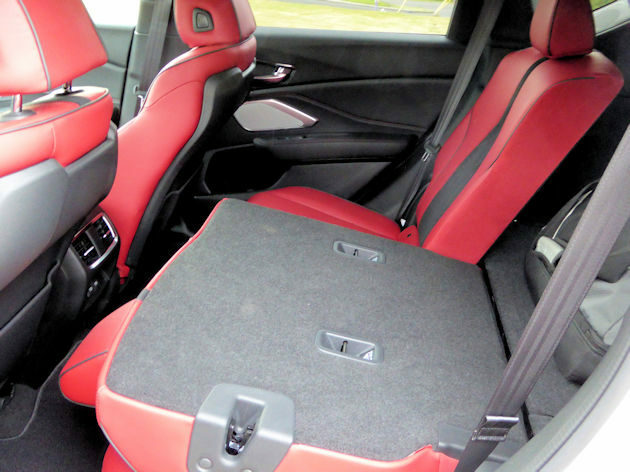 These changes helped lower the vehicle weight, improved the front to rear balance and helped improve handling. A new sport-tuned MacPherson strut front suspension and five-link rear suspension further improved handling. All RDX models are equipped with Acura?s Integrated Dynamics System, with four distinct drive modes: Comfort, Sport, Sport+ and Snow modes. The modes controlled from the center console-mounted dial. The system interacts with the Drive-by-Wire? throttle, 10-speed transmission, electric power steering, SH-AWD (if equipped) with torque vectoring, traction control, Active Damper System (on Advance grades) and Active Sound Control. Acura has always been a technological leader and this newest model has an Acura True Touchpad Interface? with a new Android-based operating system and a 10.2-inch HD display screen. It?s controlled by an innovative touchpad with a unique one-to-one mapping. Rather than dragging a cursor around the screen with a device, you touch the relative area on the console-mounted pad and press to activate the control. It will take some getting used to but should be quite intuitive once learned. There is an available Acura/ELS Studio 3D? audio system but not being audiophiles, it was more than we needed with its custom tuned system developed by Grammy-winning music producer Elliot Scheiner. The system boasts 16 sound channels and 16 speakers including four in the ceiling. Also included is the latest of AcuraLink? cloud-based services. AcuraWatch?, a suite of safety technologies, is now standard on all RDX grades, along with a Multi-Angle Rearview Camera. The Technology Package on upper level models adds blind spot information, front and rear parking sensors and Rear Cross Traffic Monitor. The RDX with Advance Package includes a Head-Up Display and Surround View Camera System for the first time. 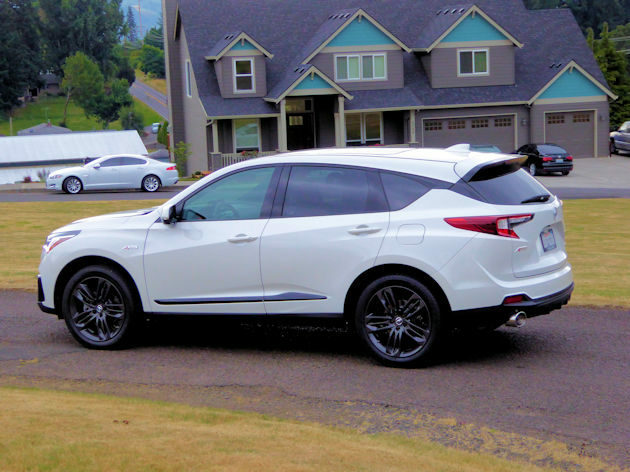 The 2019 Acura RDX comes in one basic model with a variety of significant packages to enhance the features. Pricing ranges from $38,295 for the front-wheel drive base model to more than $48,000 with the SH-AWD and the few available packages. We?ve always enjoyed the Acura models, but it?s been a long time since any (other than the new NSX sports car) has been a stand out in its respective class. Never-the-less they were always vehicles we could safely recommend. These new performance and design elements bring the ?WOW? back into the equation.